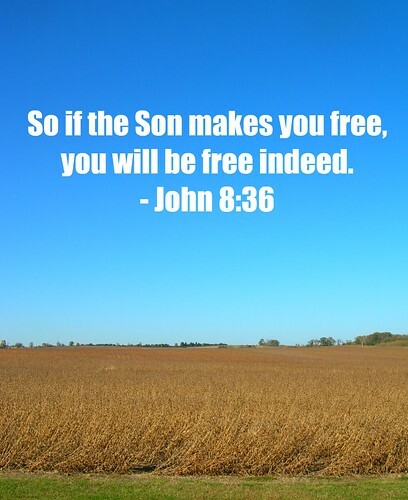 Sunday I will be preaching on John 8:31-36. We will be celebrating Reformation Sunday and New Member Sunday. I've been thinking a lot about verse 36. But what on earth does Jesus really mean? What does freedom - in the truest sense - look like and feel like?